*EXPIRED* Sbarro - $17 XL Pizza + 6 Breadsticks Deal! All that back to school shopping can work up an appetite! 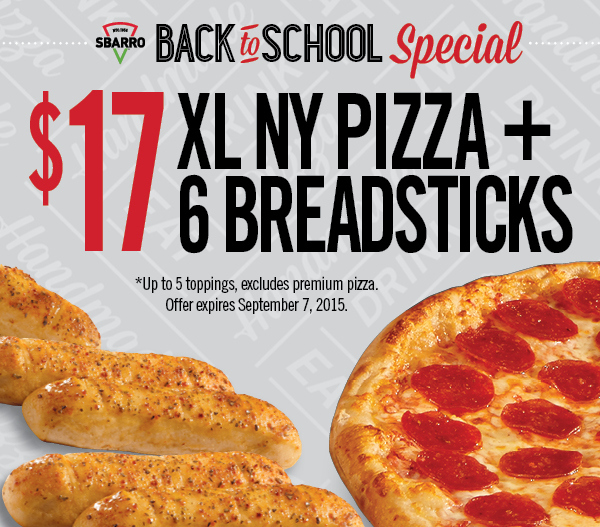 Right now, feed the whole family with an XL NY style pizza and 6 breadsticks for only $17 at Sbarro! 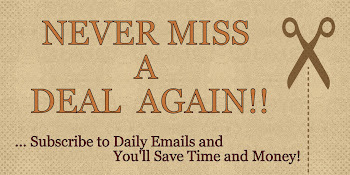 Hurry, offer expires September 7, 2015. *No coupon needed. See store for complete details.